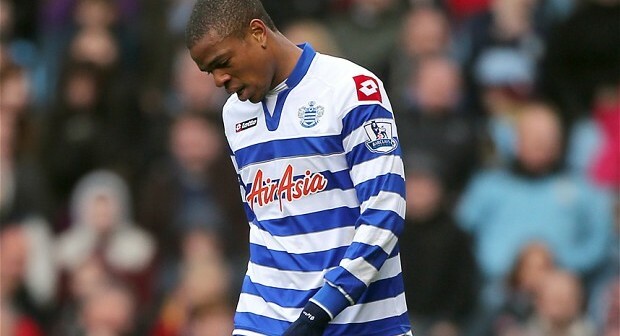 QPR FanZoner Chris King believes the Rs had a positive transfer window but may rue their failure to land a new striker. Queens Park Rangers played their inevitable part in the madness of Transfer Deadline Day on Monday, sealing deals for past and present Spurs pair Niko Kranjcar and Sandro. Bolstering the midfield following the devastating news that Alejandro Faurlin will be out for up to nine months with another cruciate ligament injury was clearly a priority for manager Harry Redknapp. However, once again the lack of centre forwards has gone unaddressed, with Loic Remy going to Chelsea and nobody coming the other way, leaving just Charlie Austin and Eduardo Vargas. This is not to say that Redknapp sat twiddling his thumbs, and it seems a deal for another ex-Tottenham Hotspur player, Jermain Defoe, was being pursued right up until the last minute. He and owner Tony Fernandes had good reason to be concerned, as the Rs’ new 3-5-2 formation appears to have been adopted specifically to accommodate two strikers. With Vargas, a loan signing from Italian side Napoli earlier this summer, only just having been granted international clearance, it remains to be seen whether Rangers have sufficient reinforcements up top. Bobby Zamora can, arguably, have an impact on games as a substitute at this level, but his fitness is such that the pace of the Premier League means he cannot be considered a viable regular starter. Which leads back to Austin, who scored his first ever Premier League goal and capped a remarkable journey from laying bricks in September 2009 to firing the ball past Vito Mannone in August 2014. After his penalty miss against Hull City on the opening day, it was suggested that the 25-year-old succumbed to the pressure of his own story, and perhaps the expectations of QPR fans. Victory over Sunderland, secured through Austin’s 45th-minute strike, means the Rs will avoid a repeat of the nightmare start under Mark Hughes, which led to a 16-match winless run in 2012/13. Rangers now have a far superior squad, and should be able to cope with losing Remy, who handled the situation facing him professionally but was always looking to leave, and rightly so. It is the loss of Danny Simpson, who was sold to direct rivals Leicester City in a surprise move, that will hurt the Superhoops the most, especially if the temporary reversion to a 4-4-2 is made permanent. Reliable and consistent were two words that best described the former Newcastle United right-back, who could have provided invaluable, and positive, Premier League experience this time around. With Manchester United, the biggest spenders of the transfer window, up next for the Rs, it will be interesting to see how Redknapp sets up his side to try to stifle the Red Devils as Swansea City did so effectively. Following the 4-0 thrashing at White Hart Lane, it was clear that the 3-5-2 formation also favoured by United manager Louis van Gaal had serious shortcomings, particularly at the back. Redknapp may well decide to deploy Sandro, known for his powerful and aggressive presence in central midfield, alongside Joey Barton, and rely on Leroy Fer, Jordon Mutch and Matt Phillips for creativity. Many have called for defender Nedum Onuoha, who would have been a perfect fit for one of the three centre back positions in the 3-5-2 set-up, to be brought back into the side. Yet it seems that Redknapp is determined to stick with Rio Ferdinand and Steven Caulker, and if the move to a 4-4-2 is made permanent, the former Manchester City player could be frozen out further. In the absence of any official polling, most QPR fans would probably agree that this has been a positive transfer window, that the club has come of age and realised who it ought to be signing. None of the players brought in are world-beaters, or come with huge reputations. The Rs now have the chance to right the wrongs of two years ago, and they have a squad capable of staying in the division. Rangers have only beaten United once at Old Trafford in the top flight of English football. Whether Falcao plays or not, this is our best opportunity of doing so again for quite some time. Originally published on TEAMtalk on Wednesday September 3 2014.